As many of you know, in addition to being a professional hairstylist I also have my own line of hair care products. 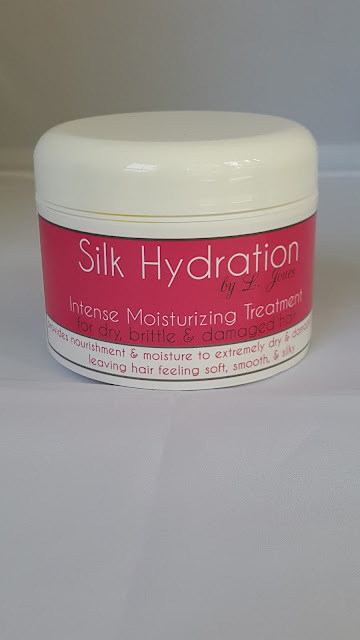 Silk Hydration by L. Jones is my brand's name and under the brand I currently have seven products. These products include shampoo, conditioner, and a few styling aids. 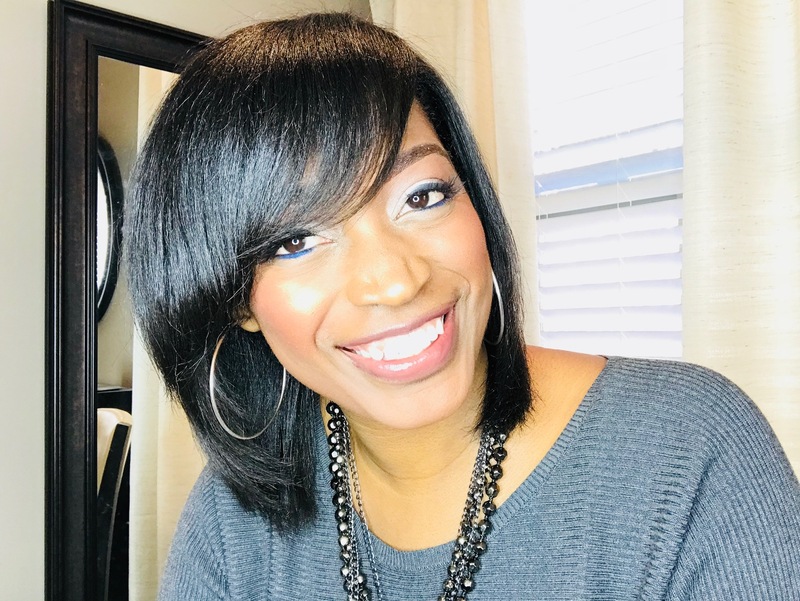 These are the best hair products for relaxed & natural hair. 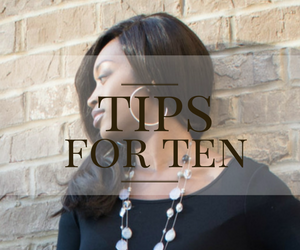 Being a professional hairstylist makes me fully aware of the needs of my clients' hair. So, who better to create a hair care line? And when I say "my line" that is what I really mean. I get all of the ingredients needed, cook it, bottle it, label it, and ship it to you! I also test each and every item before it goes on the market to ensure its excellence. 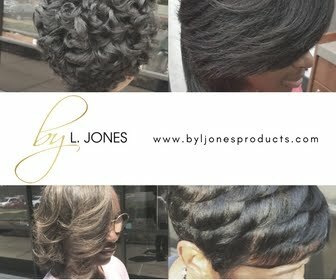 For those that are unfamiliar with my hair care line, let me introduce you to each item. Extreme Clean Clarifying Shampoo- This shampoo gets all of the dirt, oil, and residue off of the hair. 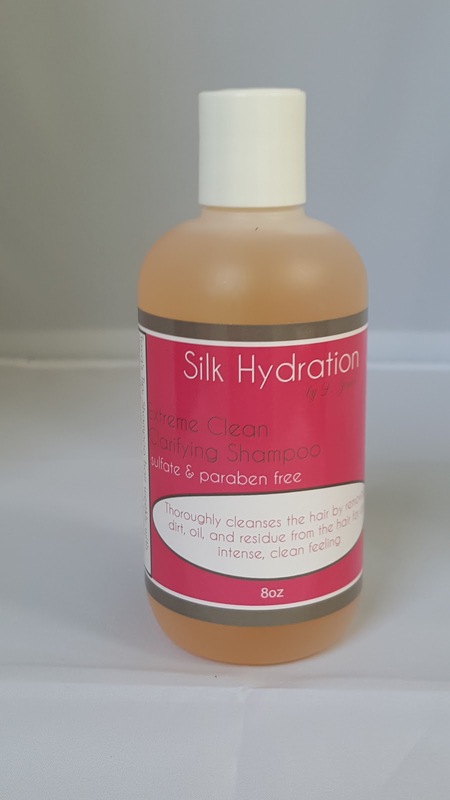 It is sulfate free and paraben free, is gentle on the hair, yet thoroughly cleanses it. It is great for relaxed hair that may have product build up and also great for natural hair that has build up as well. 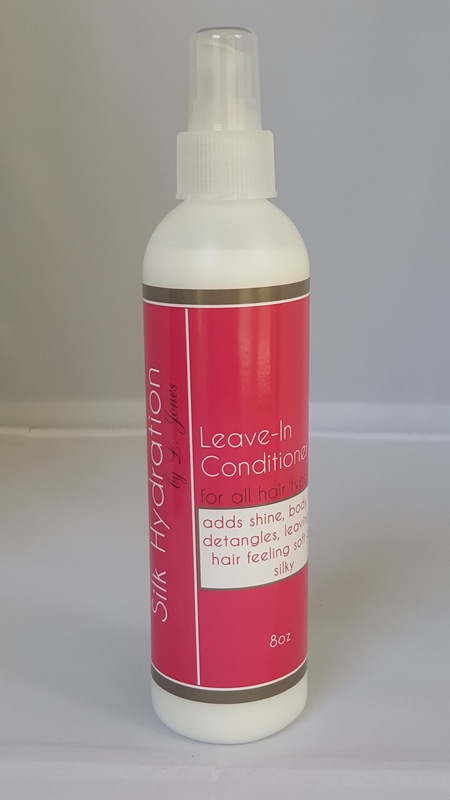 Leave-in conditioner- This lightweight leave in conditioner adds shine, detangles the hair, and also acts as a heat protectant on the hair. Does not need to be rinsed out so it leaves the hair feeling soft and silky. One of my favorite items in the line, I use it on every single client as well as myself! Miracle Potion no9- This is a shine serum as well as an anti-frizz spray. It adds shine to the hair without weighing it down and controls frizz on humid days. This item is a favorite among my clients. Intense Moisturizing Treatment- This is a deep conditioning treatment for extremely dry hair. It is very highly concentrated with oils that penetrate the hair strand and moisturize the hair from within. 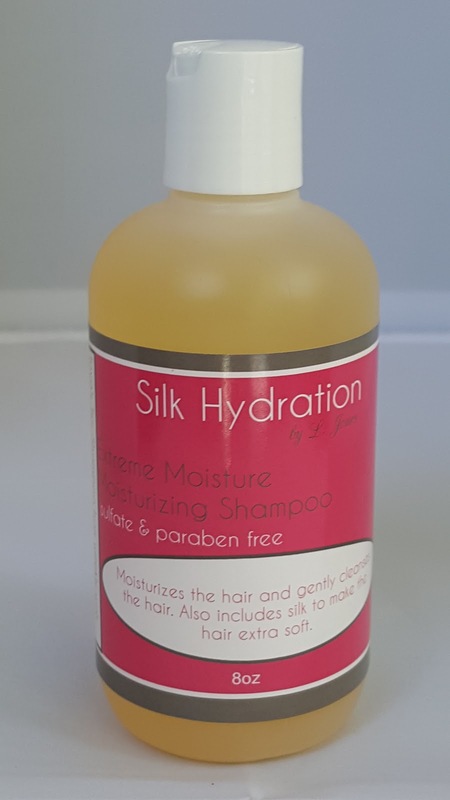 Contains argan oil, coconut oil, and avocado oil to name a few as well as silk to leave the hair feeling extra silky and soft. Extreme Moisture Shampoo- The moisture shampoo moisturizes hair while gently cleansing. It also includes liquid silk for that extra soft feeling. Excellent shampoo for dry hair. Remember, your moisture should come from your shampoo and conditioner so that you do not need to put lots of extra product on it. This shampoo is great for that. 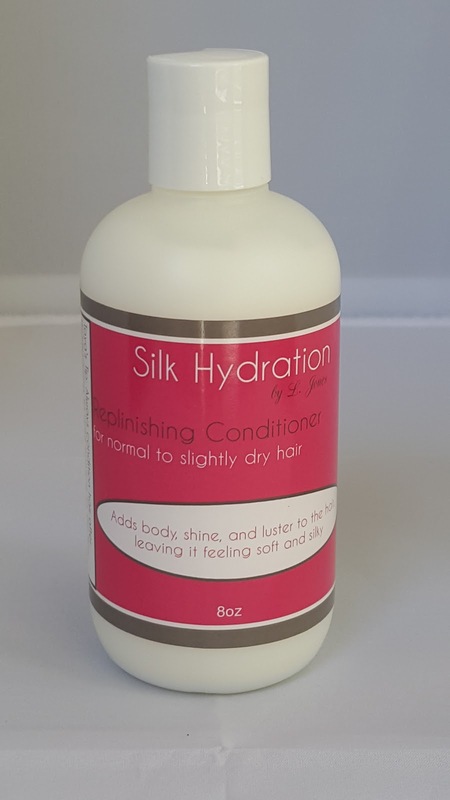 Replenishing Conditioner- This conditioner is used for normal to oily hair. It is a lightweight conditioner that is not as concentrated as the Intense Moisture Conditioner and does not need to be left on the hair as long. Excellent conditioner for both natural and relaxed hair. 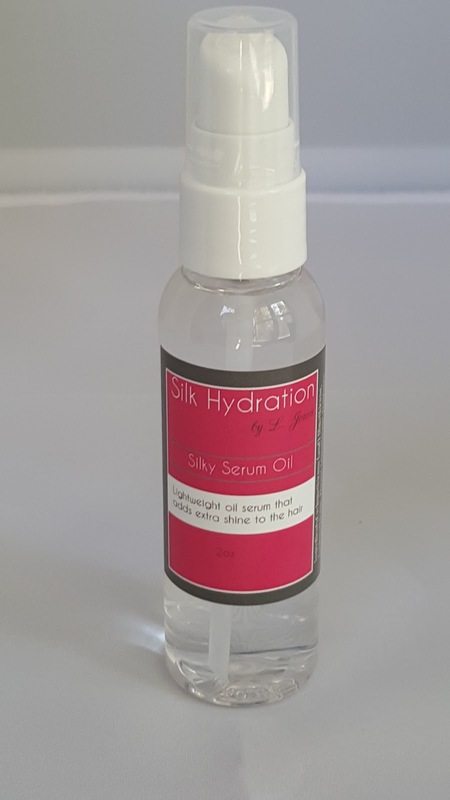 Silky Serum Oil- This is the newest item in the line! It is an oil that is light on the hair so will not weigh it down. Adds shine and can be added before blow drying hair to impart shine. 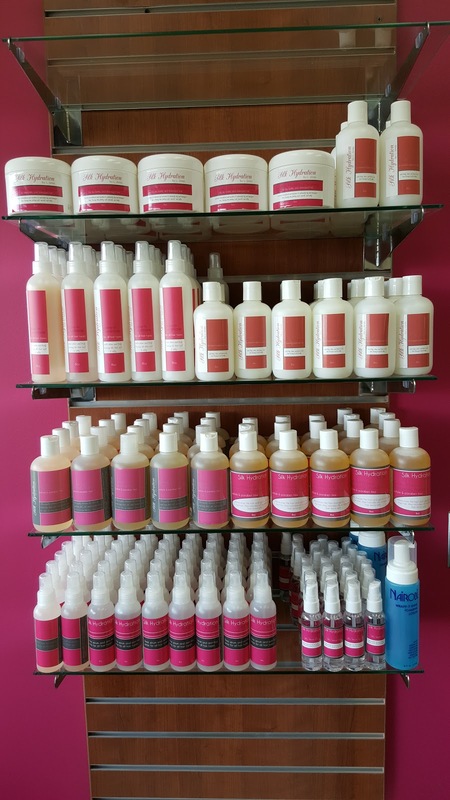 All of the products also have a great fragrance which leaves the hair smelling heavenly. 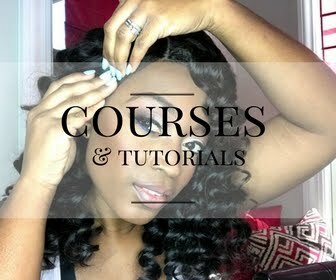 Are you ready to try the best hair products for relaxed AND natural hair? 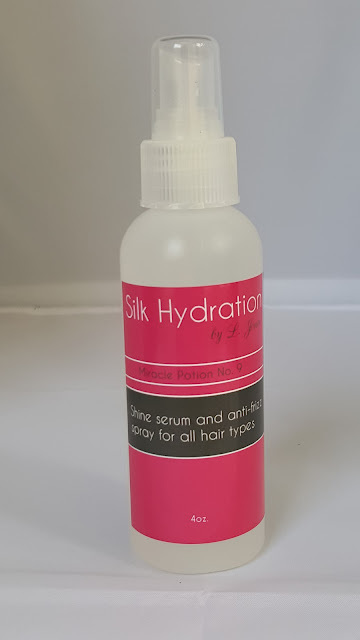 Place your order at www.silkhydration.com. The first 50 orders placed will receive FREE shipping! Simply add code "first50" at checkout to receive your discount. Happy ordering!